RKR SOFT is one of the leading website & web application development companies in Dhaka, Bangladesh. Our HR (Human Resource) & Payroll Management Software maintain international standard. Being in the software development industry for over a decade now with development centre in Dhaka, Bangladesh, our company has an in-depth knowledge in software development and application. Our company develops custom Web site applications a wide range of technology platforms to ensure successful implementation of your business strategies and enhancement of your operational excellence. 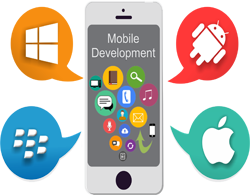 As every client faces unique business challenges, our Web site application development team starts with a thorough understanding of your objectives and works with you in close collaboration to come up with the most appropriate software development solutions that are rapidly architectured, developed, tested and implemented. For Team RKR SOFT, every project is mission-critical and must be delivered – on time and within budget. 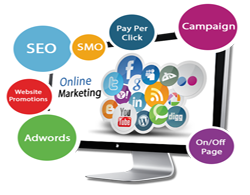 We at RKR SOFT understand that custom Website application development is not a one-off task. We employ leading-edge technologies so that need-based Web applications and technology solutions may have longer shelf-life and evolve with your business. These will need minimum maintenance/support and generate business value, so that our company remains your partner of choice for custom Web applications development and smart business moves. RKR SOFT develops custom Web site applications for a wide range of industries – Information Technology & Communications, Construction & Manufacturing, Automotive/Transportation, Financial Services, Healthcare, Education, Government Organisations and NGO’s to Fashion, Footwear, Food & Beverage, Retail and many more. Our companies proven professional expertise, cross-industry experience and technical capabilities in software development and application will help determine the optimal technology solution for reducing costs, streamlining business processes and gaining business advantages.